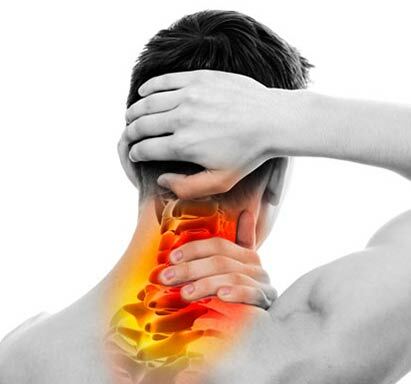 Cervicalgia is neck pain usually associated with trauma or aging. It is also referred to as none-specific neck pain. The cause is usually multifactorial and includes poor posture, neck strain, sports and occupational activities, anxiety and depression. Symptoms vary with different physical activities and over time. It is aggravated by particular movements, posture, and activities, and relieved by others. Pain is often, but not always, aggravated by exercise and relieved by rest. It radiates in a non-segmental distribution into the shoulder, upper back, arm(s) and head. With Cervicalgia, there may be associated neck stiffness and muscle spasm, decreased range of motion and tenderness of muscles. There is usually no objective loss of sensation or muscle strength.